runs water into steam-heated copper pans, and regulates temperature by means of steam valves; weighs out sugar, or receives it ready weighed; boils and re-boils it until sugar is completely dissolved and has become a syrup of required consistency for use in making candied peel. 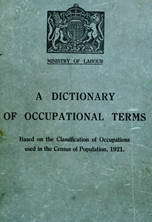 (ii) general term covering peel cooker, peel syrup boiler, and peel candier q.v. receives peel from peel cooker q.v., puts it in tubs, and pours syrup, received from peel syrup boiler q.v., thereon; removes peel when it has absorbed enough syrup; lays it on trays to drain; puts it to dry in hot chamber, heat of which he regulates by means of steam valves and hot air doors; weighs out a specified quantity of dry sweetened peel and puts it in a steam-heated pan with a specified quantity of sugar and a little water; heats until sugar is melted, then pours peel into a receiving pan; grains peel, i.e. rubs it on side of pan so that added sugar on surface dries shiny and hard; where work is sub-divided, .supervises labourers engaged on various processes. receives peel from briner (449) q.v., puts it in steam-heated vats and regulates temperature by means of steam valves; runs water into vats; when peel is soft enough for next process, removes it from vats. see jam boiler ; cf. fruit boiler (flour confectionery) (449). weighs fruit, and empties it into steam or gas-heated copper; runs a measured quantity of water into copper; 'boils them together, regulating heat by controlling steam valves, gas jets, etc. ; allows liquor to flow away through bags to filter it; weighs liquor, adds sugar, and re-heats until correct consistency is obtained; .sometimes done by jam boiler q.v. ; sometimes specifically designated, e.g. apple jelly maker. weighs or measures out exact quantities of fruit, sugar, water and other ingredients (if any) according to recipe; pours ingredients, in correct sequence and at stated intervals, into steam or gas-heated coppers; usually attends from six to ten coppers and regulates heat by controlling steam valves, gas Jets, etc. ; stirs contents of coppers, either by hand or by switching on mechanical stirrers; runs off jam, etc. into large receptacles, when correct consistency has been reached; sometimes also does work of fruit jelly maker q.v. general term covering workers engaged in jam making, including jam boiler, pan hand, jam filler (449) etc. q.v. as for jam boiler; towards end of boiling process adds shredded peel of oranges or lemons which has been soaked. stirs mixture of fruit and sugar, intended for jam or marmalade, continuously whilst boiling; pours boiled jam into large receptacles from 'which jars are filled.